Last month, Science Cheerleaders Colleen and Margaret participated in a STEM expo at Archbishop Carroll High School in Washington, DC. The event was a great success with lots of exciting presenters and activities including a live cryogenics demonstration (Margaret’s area of expertise!) 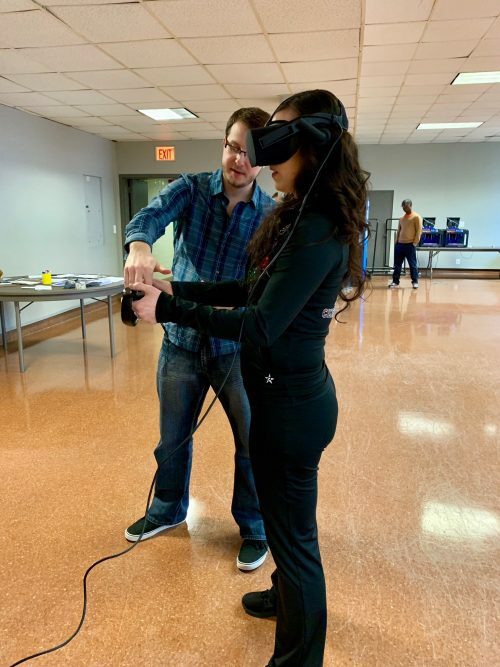 and a hands-on demonstration of a virtual reality game that seeks to educate individuals on the human heart. The event was an opportunity to educate students about opportunities to pursue STEM majors and careers and chat with expo participants about the Science Cheerleaders organization and mission. 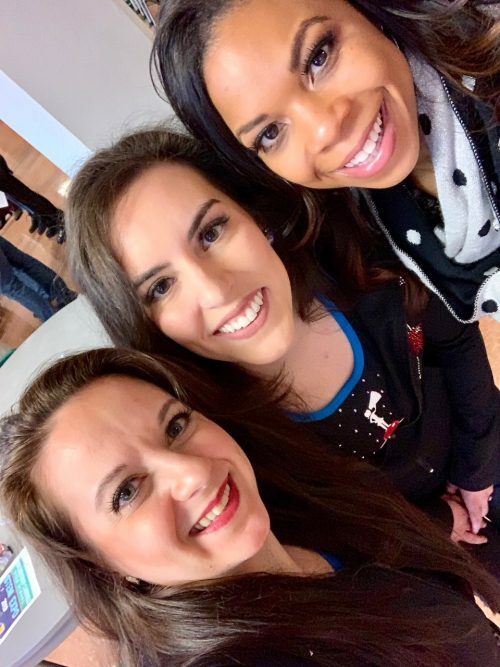 Colleen and Margaret were also joined by Science Cheerleader and Baltimore Ravens Cheerleader Tynesha in a panel discussion lead by the school’s media program director. They enjoyed discussing their STEM backgrounds and how they have balanced cheerleading with their full-time jobs. To wrap up the panel discussion, Margaret, Tynesha, and Colleen led a S-C-I-E-N-C-E cheer with a group of enthusiastic expo attendees! Science Cheerleaders Colleen, Margaret, and Tynesha rally the crowd with a science-themed cheer! 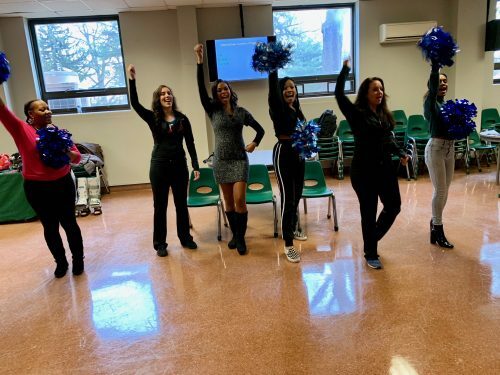 Interested in having the Science Cheerleaders visit your school? Reach out to events@sciencecheerleaders.com for more info!